Joseph Weik practices exclusively in the area of Plaintiffs’ Personal Injury and Workers’ Compensation Law. In the area of Plaintiffs Personal Injury, he has handled cases involving motor vehicle collisions, premise liability, transportation liability, and product failures. He is a frequent lecturer in the area of plaintiffs’ personal injury for both the Delaware State Bar Association and the Delaware Trial Lawyers Association. Mr. Weik has been lead counsel in approximately seventy-five cases that have gone to a jury trial in the area of plaintiffs’ personal injury. 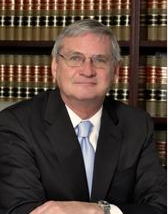 In addition, he has experience in the appellate area before the Delaware State Supreme Court. As a past president of the Delaware Trial Lawyers Association, he remains active in that organization, especially in the area of pending legislation and continuing legal education.